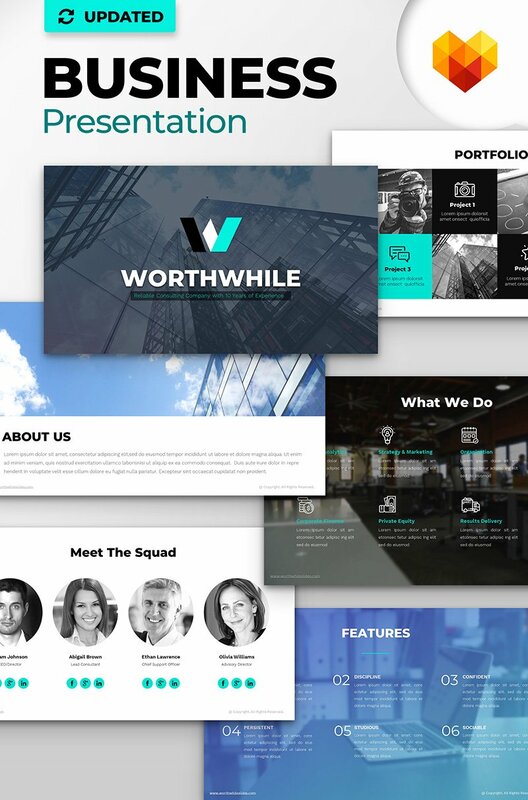 Short description: Professionally-designed PPT Design Template will help you to draw a stunning marketing presentation for any kind of business. Creating a PowerPoint presentation from scratch is rather time-consuming, so a ready-made template is intended to save your time. It’s a whole lot quicker to download a pre-made template designed by professionals. A high-quality presentation design is provided in 16:9 ratio, which is the most optimized size. The templates includes all needed sections for your presentation, Welcome, About, Services, marketing Slides, Infographics, Charts, Portfolio, Contacts, etc.